A baby died in a microwave. The mum's convicted of murder. A mum has been sentenced after killing her baby in a microwave. A woman has been found guilty of murdering her 2-month-old daughter, after putting her in a microwave. 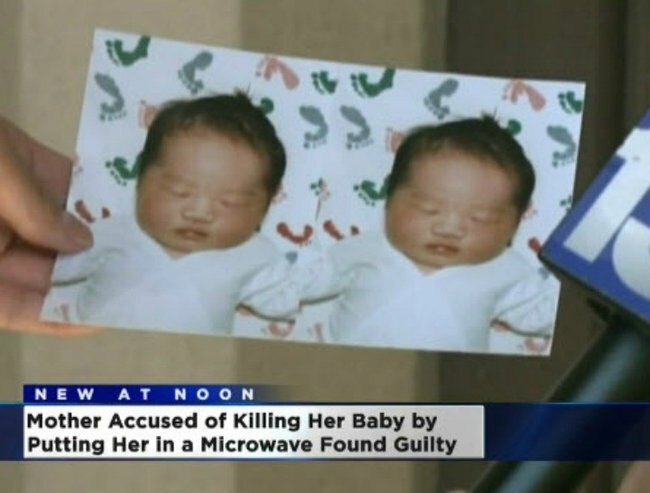 Prosecuters say that in March 2011, Ka Yang put her daughter, Mirabelle Thao-Lo in the microwave. She was at her home in Sacramento, California at the time. The prosecutors say that the 34-year-old put Mirabelle in the microwave for 2-and-a-half to five minutes. Ka Yang was arrested in 2011. Image via KCRA News YouTube. Yang claims that she was having a seizure during the incident and was unaware that she put her daughter in the microwave when it happened. But prosecutors argued that Yang had lied to investigators about Mirabelle&apos;s death before they discovered a dummy inside the microwave, reports The Sacramento Bee. Mirabelle Thao-Lo died in March 2011. Image via CBS news. The baby died while in the cooking device and authorities say she suffered from extensive thermal injuries. The Sacramento County District Attorney&apos;s Office says that on Friday Yang was also convicted of child assault, causing death, by jurors. The mother could face 26 years to life imprisonment. She will be sentenced at a later date, most likely in December this year.